The Galway Black Dragon Kickboxing Gym has eight fighters in action in The Unified World Championships this week. The four-day tournament, which takes place in Tuscany, starts this morning, and is regarded as the biggest martial arts competition in the world. 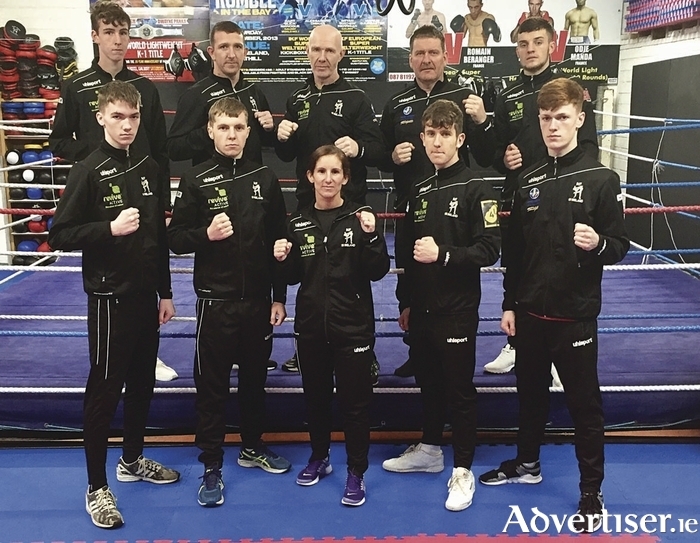 Galway's eight kickboxers joined the rest of IKF Team Ireland on Tuesday before heading to Italy to join thousands of competitors from more than 120 countries over five continents. Pictured at the final training session in the Black Dragon Gym on Saturday were: back row, Alex Fitzpatrick (Tuam ), Peter Sheppard (Knocknacarra ), Pete Foley (Annaghdown, coach and Irish team manager ), Joe McCormack (Kinvara, assistant coach ), James Kelly (Athenry ). Front row: Corey O'Malley (Ballybrit ), Damien Creavin (Ballybrit ), Whitney Sheppard (Knocknacarra ), Sean Ryan (Cong ), and Cian MC Cormack (Kinvara ).